Our little ones are the joys of our life. It’s exciting to see them growing, happy, healthy and thriving in every way. But there’s just one problem…their hair isn’t growing. In fact, it may even be getting shorter! It can be super frustrating to see our little girls and boys experience hair breakage, and when you ask the doctor about it, they offer you virtually no solutions. 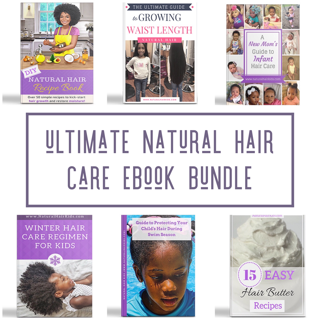 There are a variety of reasons why your child’s natural hair isn’t growing. But rest assured, if you correct these common issues, your child will be on their way to retaining their length in no time. 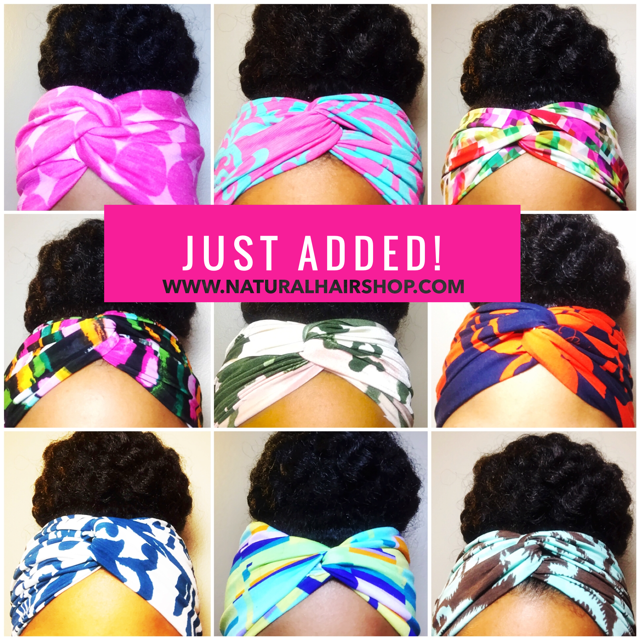 Moisture is probably the most vital component towards maintaining healthy natural hair. Remember this often, water is your child’s best friend. If your child’s hair is excessively dry, it can start to break. So be sure to keep a regular moisturizing schedule. This will largely depend upon your child’s hair. But moisturizing once a week is a good plan to start with. You may need to increase it to every other day, or every day, depending upon their hair type or if they live in an environment with very dry heat. We’ve had a lot of success using the L.O.C Method. It’s a three-step process, using a liquid, oil, and cream, to help impart shine and seal in moisture. But I thought I was supposed to trim my baby’s hair? Yes of course you are! But some people trim excessively, to the point, where they aren’t even giving the hair a chance to grow. On the other hand, some natural moms don’t even bother to trim at all. If you don’t trim, then your child’s hair will begin to split and unravel up the hair shaft, causing major breakage. You don’t want to go this route either. It can be difficult to strike a balance. The only way to know is by experimentation. If you’ve been religious about trimming your child’s hair for weeks, try to skip a few weeks. If you know it’s been months since trimming their hair, then it may be time for a trim. Trial and error is what works best. If you constantly straighten your child’s hair, then it may be time to take a break, especially if you’re not seeing any results in the length department. There is nothing wrong with using heat. But when you use too much, it can begin to damage their already fragile tresses. Try alternating the amount of heat you use every few weeks or so, and see if that helps. If your concern is stretching the hair out, try these safer methods instead. 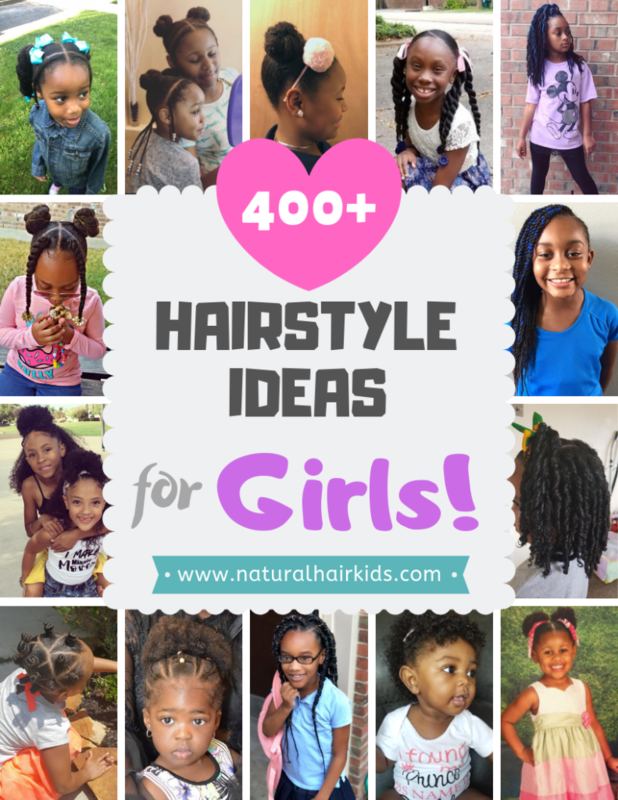 There are a lot of child friendly protective styles that you can use in the interim. If you reduce the heat, your child’s hair should be back to normal in no time. Even adult naturalistas have a hard time accepting this one. But the old adage “we are what we eat,” has never been truer. A healthy diet can help support our child’s hair goals. Also, be sure that your little one is getting enough hydration. Water is so important, not just in terms of moisturizing on the outside, but from the inside too. Your child should be drinking about half of their weight in ounces daily. Try giving your little one a multi-vitamin and increasing their water intake. It may be just the thing needed to get that hair thriving again. If your child has long luscious locks, you may be eager to show it off. 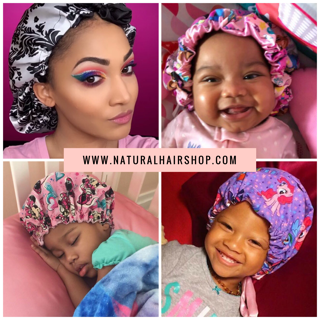 However, when they constantly wear their hair out, it can be susceptible to many harmful elements like the sun, dirt, and their clothing which can prevent their hair from behaving at its full potential. They should also be sleeping on a satin pillowcase or satin bonnet. When their hair rubs against cotton, it can help contribute to hair breakage and damage. So if they’ve been rocking their hair out for a while, try braiding their hair, or wearing some other protective hairstyle. Even our little ones, can use a break sometimes. There are many reasons why our young natural’s hair may not be growing. It’s up to you to best determine what to do. Try one, or all of these methods. We can promise you that if you are diligent in the health of your child’s hair, it will be back to growing at record speed in no time. If you are in need of step-by-step instructions on growing your child’s hair long, consider checking out our Ultimate Guide to Growing Waist Length Hair!